• Environment protection tax. All these taxes are imposed at the national level. There are no local, state or provincial taxes. • Social insurance, unemployment insurance and health insurance contributions. However, corporate income tax and personal income tax are the most important need to be known clearly. Enterprises (generally companies) are subject to the tax rates imposed under the CIT Law. The standard CIT rate was reduced from 25% to 22% from 2014 and 20% from 2016. Projects previously entitled to a 20% CIT rate will enjoy a 17% CIT rate for their remaining period. Companies operating in the oil and gas industry are subject to CIT rates ranging from 32% to 50% depending on the location and specific project conditions. Companies engaging in prospecting, exploration and exploitation of mineral resources (e.g. silver, gold, and gemstones) are subject to CIT rates of 40% or 50%, depending on the project’s location. Vietnam personal income tax rates are progressive to 35%. Nonresidents are taxed at a flat tax rate of 20%. Non employment income is taxed at rates from 0.1% to 25%. FCT applies to certain payments to foreign parties including interest, royalties, service fees, lease, insurance, transportation, transfers of securities and goods supplied within Vietnam or associated with services rendered in Vietnam, and certain distribution arrangements. It normally comprises a combination of CIT and VAT at varying rates, but can also include PIT for payments to foreign individuals. No withholding or remittance tax is imposed on profits paid to foreign corporate shareholders. A withholding tax of 5% applies to interest paid on loans from foreign entities. Offshore loans provided by certain government or semi-government institutions may obtain an exemption from interest withholding tax where a relevant double taxation agreement or inter-governmental agreement applies. Interest paid on bonds (except for tax exempt bonds) and certificates of deposit issued to foreign entities are subject to 5% withholding tax. Sales of bonds and certificates of deposits are subject to a deemed tax of 0.1% of the gross sales proceeds. FCT applies to payments to a foreign entity for the right to use or for the transfer of intellectual property, technology or software. A withholding tax on payments to foreign contractors applies where a Vietnamese party (including foreign owned companies) contracts with a foreign entity that does not have a licensed presence in Vietnam. This FCT generally applies to payments derived from Vietnam, except for the pure supply of goods (i.e. where the responsibility, cost and risk relating to the goods passes at or before the border gate of Vietnam and there are no associated services performed in Vietnam), services performed and consumed outside Vietnam and various other services performed wholly outside Vietnam (e.g. certain repairs, training, advertising, promotion, etc.). In addition, certain distribution arrangements where foreign entities are directly or indirectly involved in the distribution of goods or provision of services in Vietnam are subject to FCT – e.g., where the foreign entity retains ownership of the goods, bears distribution, advertising or marketing costs, is responsible for the quality of goods or services, making pricing decisions, or authorizes/hires Vietnamese entities to carry out part of the distribution of goods/provision of services in Vietnam. Foreign contractors can choose between three methods for tax payment - the deduction method, the direct method and the hybrid method. Gains derived from the sale of a Vietnam company are in many cases subject to 20% CIT. This is generally referred to as capital assignment profits tax (CAPT) although it is not a separate tax as such. The taxable gain is determined as the excess of the sale precedes less cost (or the initial value of contributed charter capital for the first transfer) less transfer expenses. Where the vendor is a foreign entity, a Vietnamese purchaser is required to withhold the tax due from the payment to the vendor and account for this to the tax authorities. Where the purchaser is also a foreign entity, the Vietnamese enterprise in which the interest is transferred is responsible for the CAPT administration. The return and payment is required within 10 days from the date of official approval of the sale by a competent body or, where approval is not required, 10 days from the date the parties reach agreement on the sale in the contract. The tax authorities have the right to adjust the transfer price for CAPT purposes where the price is not consistent with the market price or where the price is not stipulated in the agreement. Transfers of securities (bonds, shares of public joint stock companies, etc.) by a foreign entity are subject to CIT on a deemed basis at 0.1% of the total sales proceeds. Gains derived by a resident entity from the transfer of securities are however taxed at 20%. VAT applies to goods and services used for production, trading and consumption in Vietnam (including goods and services purchased from non-residents). A domestic business must charge VAT on the value of goods or services supplied. In addition, VAT applies on the duty paid value of imported goods. The importer must pay VAT to the customs authorities at the same time they pay import duties. For imported services, VAT is levied via the FCT mechanism. VAT payable is calculated as the output VAT charged to customers less the input VAT suffered on purchases of goods and services. For input VAT to be creditable, the taxpayer must obtain a proper VAT invoice from the supplier. For VAT paid on imports, the supporting document is the tax payment voucher, and for VAT collected via the FCT mechanism, the supporting document is the FCT payment voucher. 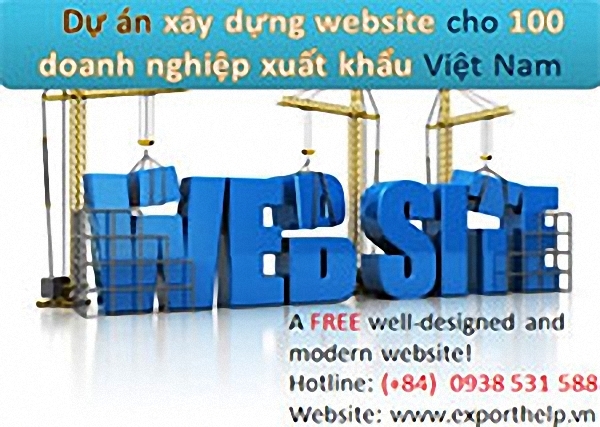 • Goods exported and then re-imported back to Vietnam due to sales returns by overseas customers. • Fertilizer, feed for livestock, poultry, seafood and other animals, machinery and equipment specifically used for agriculture. This rate applies to exported goods/services including goods/services sold to overseas/non-tariff areas and consumed outside Vietnam/in the non-tariff areas, goods processed for export or in-country export (subject to conditions), goods sold to duty free shops, certain exported services, construction and installation carried out for export processing enterprises, aviation, marine and international transportation services. This rate applies generally to areas of the economy concerned with the provision of essential goods and services. These include: clean water; teaching aids; books; unprocessed foodstuffs; medicine and medical equipment; husbandry feed; various agricultural products and services; technical/scientific services; rubber latex; sugar and its by-products; certain cultural, artistic, sport services/products and social housing. This "standard" rate applies to activities not specified as not-subject to VAT, exempt or subject to 0% or 5%. When a supply cannot be readily classified based on the tax tariff, VAT must be calculated based on the highest rate applicable for the particular range of goods which the business supplies. Services directly rendered and goods sold to foreign companies, including companies in non-tariff areas, are subject to 0% VAT if they are consumed outside Vietnam or in non-tariff areas. Various supporting documents are required in order to apply 0% VAT to exported goods and services (except for international transportation services): e.g. contracts, evidence of non-cash payment and customs declarations (for exported goods). SST is a form of excise tax that applies to the production or import of certain goods and the provision of certain services. Imported goods (except for various types of petrol) are subject to SST at both the import and selling stages. There are various anti-avoidance rules which specify minimum prices for SST purposes. For example, for certain manufactured or imported goods which are subsequently sold by a trading entity, the SST taxable price cannot be less than 93% of the average selling price of the trading entity. A "trading entity" is the first entity within the distribution network that has no parent - subsidiary relationship with or does not have the same parent as the manufacturing or importing company. Taxpayers producing SST liable goods from SST liable raw materials are entitled to claim a credit for the SST amount paid on raw materials imported or purchased from domestic manufacturers. Where taxpayers pay SST at both the import and selling stages, the SST paid at importation will be creditable against SST paid at the selling stage.SST paid at importation will be creditable against SST paid at the selling stage. The Law on SST classifies objects subject to SST into two groups: 1. Commodities - cigarettes, liquor, beer, automobiles having less than 24 seats, motorcycles, airplanes, boats, petrol, air-conditioners up to 90,000 BTU, playing cards, votive papers; and 2. Service activities - discotheques, massage, karaoke, casinos, gambling, lotteries, golf clubs and entertainment with betting. Natural resources tax is payable by industries exploiting Vietnam’s natural resources such as petroleum, minerals, forest products, seafood and natural water. Natural water used for agriculture, forestry, fisheries, salt industries and sea water for cooling purposes may be exempt from NRT provided that certain conditions are satisfied. The tax rates vary depending on the natural resource being exploited, ranging from 1% to 40%, and are applied to the production output at a specified taxable value per unit. Various methods are available for the calculation of the taxable value of the resources, including cases where the commercial value of the resources cannot be determined. Crude oil, natural gas and coal gas are taxed at progressive tax rates depending on the daily average production output. Foreign investors generally pay rental fees for land use rights. The range of rates is wide depending upon the location, infrastructure and the industrial sector in which the business is operating. In addition, owners of houses and apartments have to pay land tax under the law on non-agricultural land use tax. The tax is charged on the specific land area used based on the prescribed price per square meter and progressive tax rates ranging from 0.03% to 0.15%. Import and export duty rates are subject to frequent changes and it is always prudent to check the latest position. Import duty rates are classified into 3 categories: ordinary rates, preferential rates and special preferential rates. Preferential rates are applicable to imported goods from countries that have Most Favored Nation (MFN, also known as Normal Trade Relations) status with Vietnam. The MFN rates are in accordance with Vietnam’s WTO commitments and are applicable to goods imported from other member countries of the WTO. Special preferential rates are applicable to imported goods from countries that have a special preferential trade agreement with Vietnam. Vietnam has such free trade agreements (“FTA”) with various countries including the ASEAN member states, Japan, China, India, Korea, Chile, Australia, New Zealand and the Customs Union of Russia, Belarus, Kazakhstan. Vietnam has recently concluded 2 important agreements, the Trans-Pacific Partnership (TPP) and the European Union FTA and is negotiating other agreements including the Regional Comprehensive Economic Partnership (RCEP), FTAs with Iceland, Liechtenstein, Norway, Switzerland, Hong Kong, and Israel. To be eligible for preferential rates or special preferential rates, the imported goods must be accompanied by an appropriate Certificate of Origin. When goods are sourced from non-preferential treatment/non-favored countries, the ordinary rate (being the MFN rate with a 50% surcharge) is imposed. In principle Vietnam follows the WTO Valuation Agreement with certain variations. The dutiable value of imported goods is typically based on the transaction value (i.e. the price paid or payable for the imported goods, and where appropriate, adjusted for certain dutiable or non-dutiable elements). Where the transaction value is not applied, alternative methodologies for the calculation of the dutiable value will be used. SST applies to some products in addition to import duties. VAT will also be applied on imported goods (unless exempt under the VAT regulations). • Companies manufacturing goods for export do not pay import duties on raw materials where the products are destined for export. However, where the enterprise does not, or is not expected to, export the finished product within 275 days, the Customs Department will charge temporary import duty on the raw materials. Penalties for late payment can apply. Where the enterprise then exports the finished product, a refund will be provided in proportion to the raw materials contained in the exports. • Machinery, equipment, specialized means of transportation, materials (which cannot be produced in Vietnam), health and office equipment imported for use in oil and gas activities. • Imported raw materials that were imported for the production of products for the domestic market but are later used for the processing of goods for export under processing contracts with foreign parties. Export duties are charged only on a few items, basically natural resources such as sand, chalk, marble, granite, ore, crude oil, forest products, and scrap metal. Rates range from 0% to 40%. The tax base for computation of export duties is the FOB /Delivered At Frontier price, i.e. the selling price at the port of departure as stated in the contract, excluding freight and insurance costs. The customs office may perform post customs audits either at their offices or at the taxpayers’ premises. These inspections normally focus on issues including HS code classification, valuation, compliance with export/ toll manufacturing duty deferral/ exemption schemes and certificate of origin. Social insurance (“SI”) and Unemployment insurance (“UI”) contributions are applicable to Vietnamese individuals only. Health insurance (“HI”) contributions are required for Vietnamese and foreign individuals that are employed under Vietnam labour contracts. From 1 January 2016 to 31 December 2017, the salary subject to SI / HI / UI contributions is the salary and certain allowances stated in the labour contract, but this is capped at 20 times the minimum salary for SI / HI contributions and 20 times the minimum regional salary for UI contributions (the minimum salary is currently VND1,150,000 and the minimum regional salary varies from VND2,400,000 to VND3,500,000 depending on the region – these minimum salaries are subject to change each year). Statutory employer contributions do not constitute a taxable benefit to the employee. The employee contributions are deductible for PIT purposes. Numerous other fees and taxes can apply in Vietnam, including business license tax and registration fees (akin to stamp duty) on the transfer of certain registerable assets.